Again, Massive Thank You to everyone who enjoyed, supported, collected and threw Discs with Skulboy artwork on them. It is very much greatly appreciated! 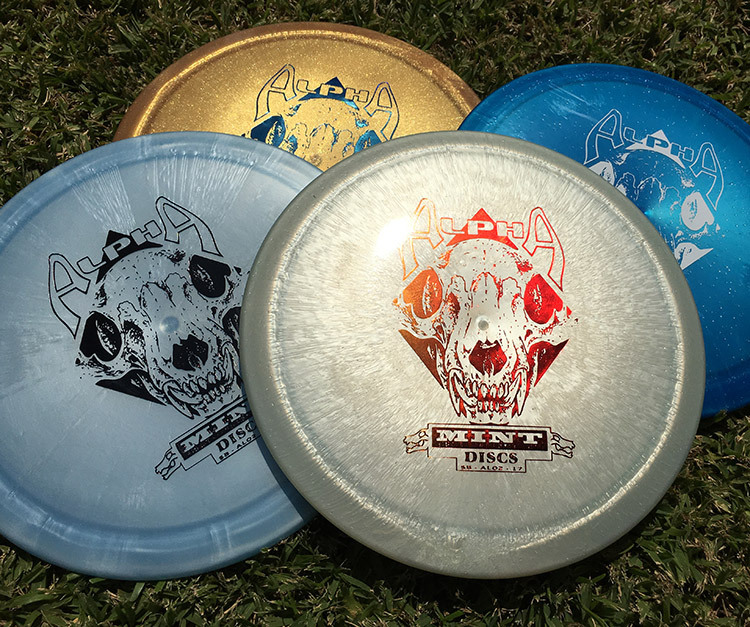 Tasty Plastic to follow in order of their release. 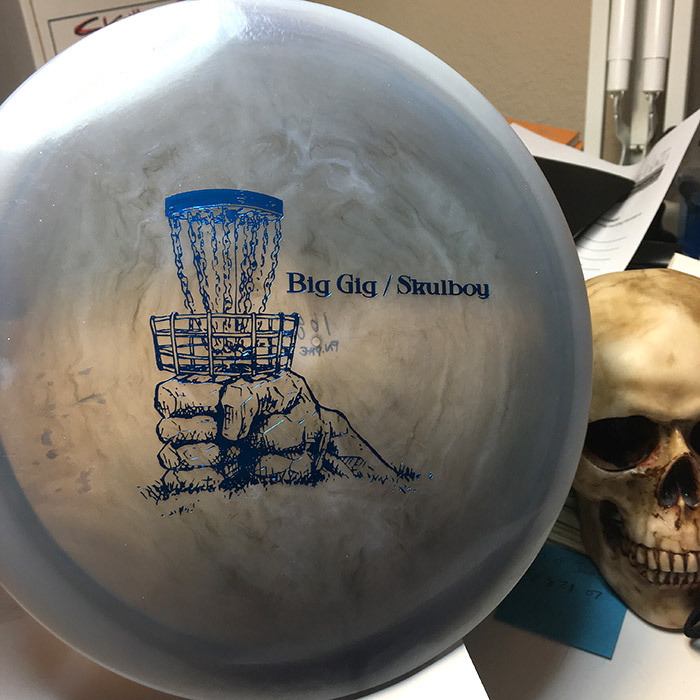 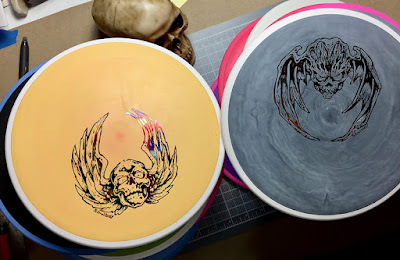 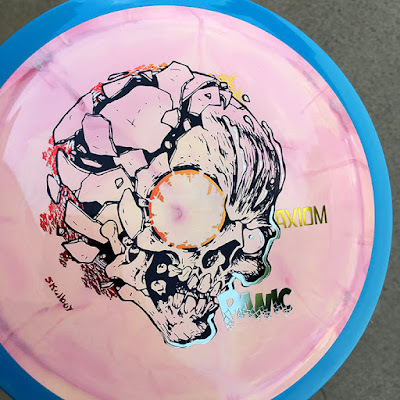 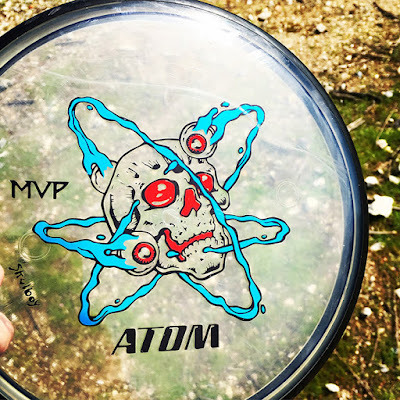 Big Gig/Skulboy stamp on Legacy Pinnacle PHENOM. Unauthorized Discraft Glow BUZZZ Mini. 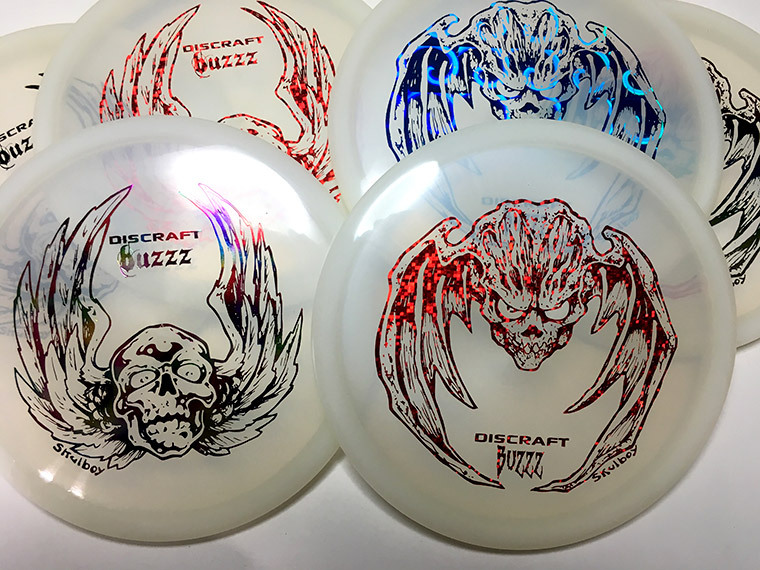 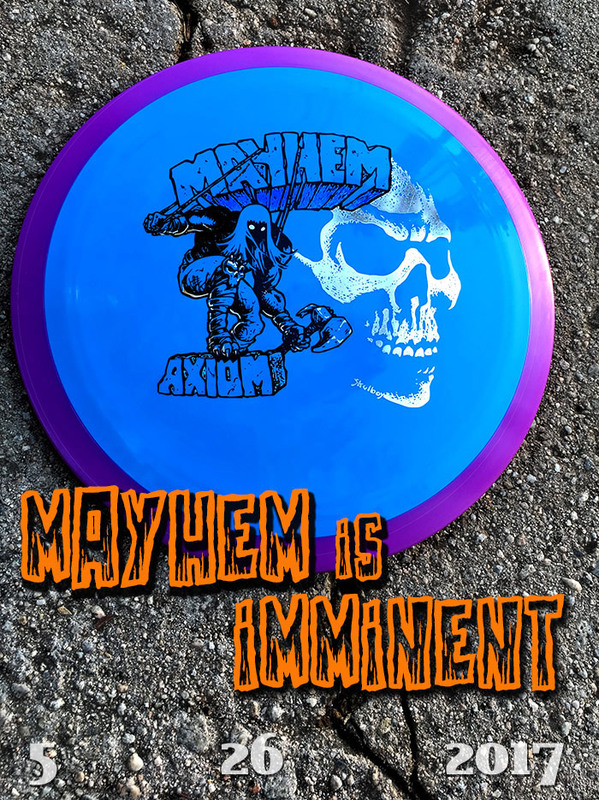 Only 100 stamped with "Discraft Buzzz" wording. 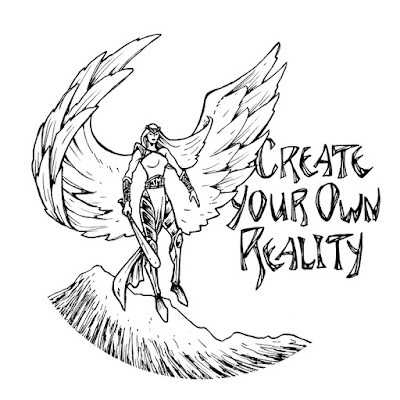 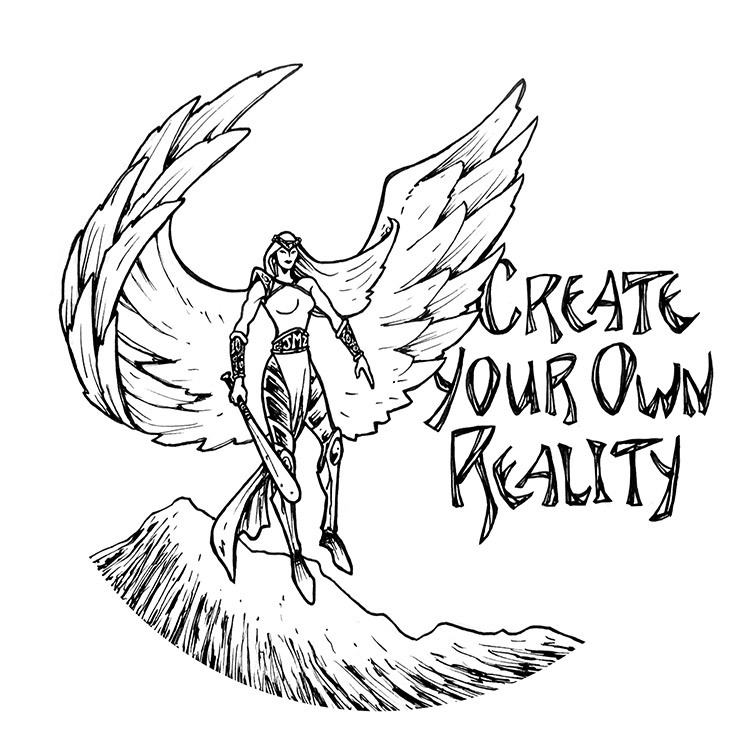 "Create Your Own Reality" for Noah and Jenny.